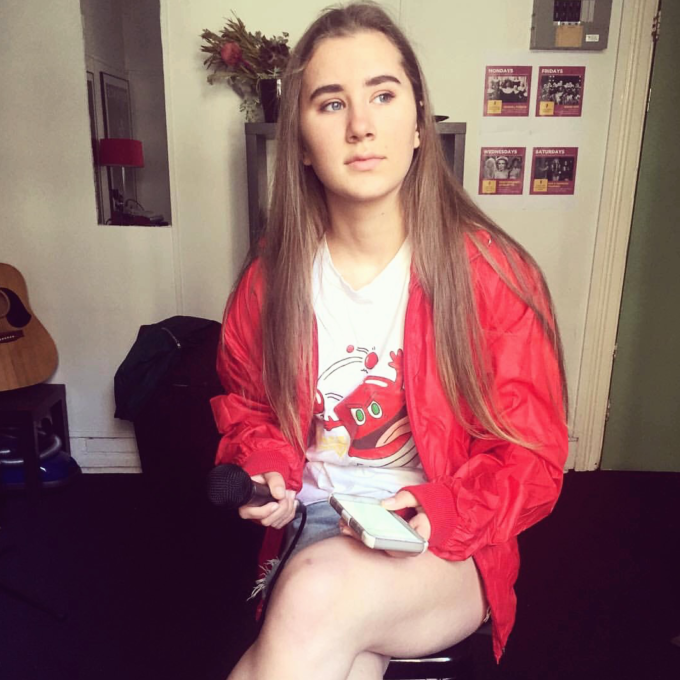 At just 14 years of age, Sydney starlet Lilie Tyler has just released her debut single. Entitled ‘Stay’, the track reveals a soulful voice and a maturity way beyond Lilie’s tender years. Get To Know Lilie in our latest feature, listen to the track and discover her link with another singer who’s featured as part of our Get To Know series, Siki Daha. 01. Name : My name is Lilie Tyler. 02. Where are you based? I’m a Sydney-based independent artist. 03. How did you get your start in music? I started singing in a school choir at primary school and from there I just fell in love with singing. 04. Give us five words to best describe you as an artist. Five words that I would use to describe myself as an artist are; young, strong, vocal, emotive and determined. 05. Tell us a little bit about your sound and how it developed. I started lessons when I was 11 years old and my voice was very raw and wasn’t very good, but after three years it has improved and matured to what it is now. I have been told a lot that for my age I have a very mature voice and have been compared to artists like Joss Stone and Amy Winehouse. Before I had my teacher Siki Daha I had another teacher and I mainly sung pop music with her, but once Siki started to mentor me, I started singing more R&B and soul music. 06. Who have been your musical influences? My biggest musical influence is my teacher Siki Daha because he inspires me every time he sings, and he’s always so confident and happy no matter what life throws at him. I also like Miley Cyrus because she’s a strong independent women who fights for what she believes in. 07. What are your favourite songs of all time? My favourite songs of all time would have to be ‘The Miracle (Of Joey Ramone)’ by U2 and ‘Can’t Help Falling In Love’ by Elvis Presley. 08. What was the first album you bought? One Direction’s album ‘Up All Night’. I used to be obsessed with them and my friends and I knew all the lyrics to every song. 09. Give us a little fun fact about yourself that people might not know. Not a lot of people know this, but when I was younger I got chosen to go to state athletics for high jump. 10. What would your chosen career be if music wasn’t an option? I have always been interested in medicine and I would love to one day to become a doctor. So I reckon if music wasn’t an option, I would pursue that career. 11. What’s the best advice you’ve been given in your career? To keep on going. Even if there are people who try to knock you down, you just have to keep pushing. 12. Tell us about your latest release. My latest release was my first single, it was really exciting for me as it was a major milestone in my career. It’s called ‘Stay’ and it’s about a person who I was very close with that I ended up pushing away. And once he had left, I wanted him back. 13. What do your future plans involve? I plan to release an EP in mid-December which will have ‘Stay’ included on it. Other than that, I will hopefully release some more singles and albums. 14. Where can our audience catch you live? I do gigs all around Sydney with my teacher Siki Daha. They are generally on Saturday and Sunday nights at different locations, except right now I’m between venues, as my main venue is sadly shutting down.